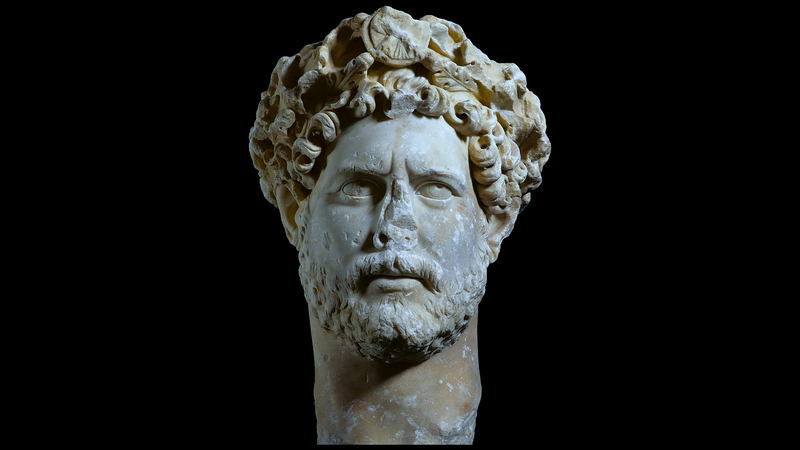 Portrait of Emperor Hadrian found in Syngrou Avenue. National Archaeological Museum (EAM 3729), Athens. The Acropolis Museum honors the anniversary of the 1900 years since the ascent to the throne of Emperor Hadrian, a friend and benefactor of Athens, with the presentation of an exquisite portrait of the Emperor found in Syngrou Avenue, and an interesting video, produced by the Museum, which showcases the Emperor’s immense building program concerning the city of Athens in the 2nd century AD. Hadrian’s work signifies the revival of Greek Letters and Science during the time of the Roman Empire. The simple yet impressive presentation will be on display at the Museum ground floor until 31.3.2017, daily during Museum opening times, with free admission to visitors. 6. A very important building constructed by Hadrian in Athens was the Pantheon (θεοῖς τοῖς πᾶσιν ἱερόν κοινόν) where records of all the sacred buildings, the dedications, and the Emperor’s donations to the Greek but also the barbaric cities, were engraved. The impressive remains of a three-aisle temple on Adrianou Street in Plaka have been identified as the Pantheon. 7. In the heart of Athens, between the Agora and the Acropolis Hadrian built, in an area of 10,000 sq m, the renowned complex of the Library that contained -in addition to the three stories housing books – reading rooms, teaching rooms, porticoes for philosophical walks, gardens and a pond for recreation. The Emperor’s goal was to create a place of academic study worthy of the reputation of Ancient Athens in Letters and Science. It was found on Syggrou Avenue in 1933, is safeguarded in the National Archaeological Museum and can be dated in 130-140 AD.